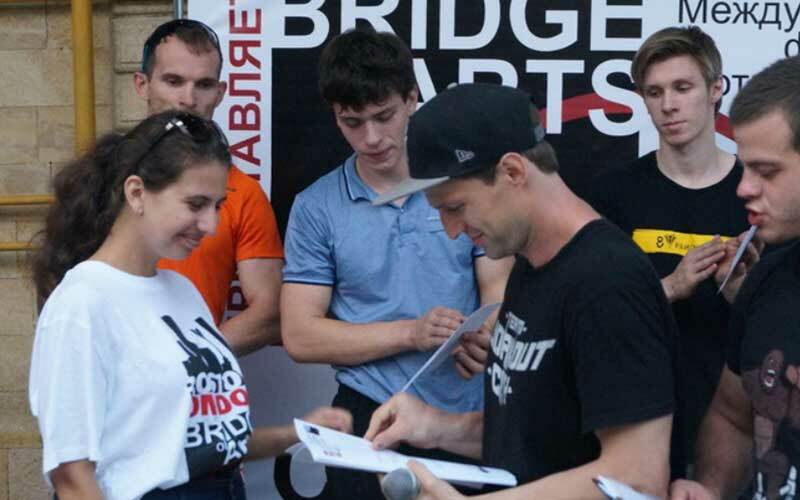 BRIDGE of ARTS organizes some thematic areas for the guests of the Don River Festival which will be held on the Rostov embankment this Saturday, on August 2, 2016. Multi-format international festival presents two of its key directions – cinema and sport. For the first time everyone can try himself as an actor on a real set. This year a traditional summer family event is dedicated to the Year of the Russian cinema, so the sets on the Rostov embankment will be decorated with cinema staff: clapsticks, a director’s chair, cameras, etc. Several thematic sections will function from the early morning. Thus, among the events for the festival visitors there will be a souvenir fair of the Don crafters, a free excursion on a motor-ship and a trip along the embankment with a guide. Everybody will be able to take part in the workshops on traditional Don folk crafts, and also on nomad arrows making and foil stamping. The International Motivational Film Festival BRIDGE of ARTS is one the partners of this event. It presents multiple activities corresponding to the main sections of this multi-format event. The sports section will be presented by the interactive playground, where the workout and wrestling exhibitions and competitions will take place, involving prominent sportsmen. The central part of the festival is a film shooting where everyone is welcomed to take part. Specially for this event the decorations of the film that has just been shot will be delivered from Moscow. Experienced directors, cameramen and makeup artists will be working with the movie debutants for the whole day. 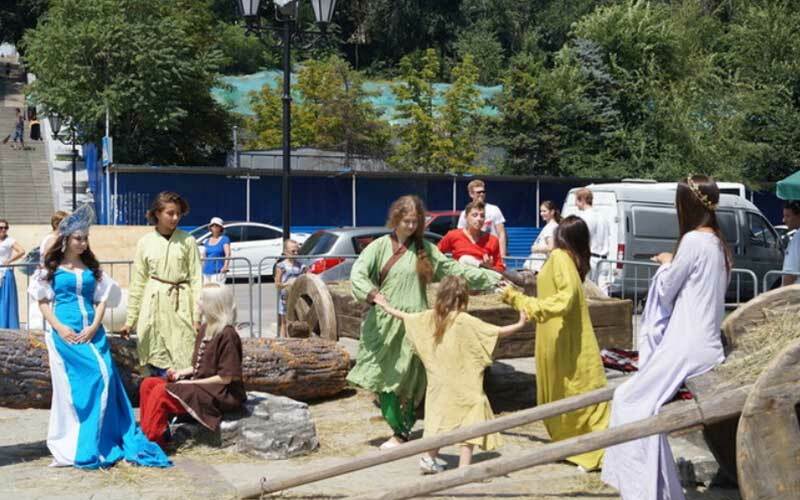 Casting will be held among the guests of the Don River Festival after which the residents will feel in the role of the real actors: everyone will be provided with the words, a costume and a character makeup. The material shot during the event will be edited and downloaded on the website www.imff.ru. “We were very enthusiastic about taking part in the Don River Festival as the aims of both our forums are similar – the family format and the demonstration of the regional potential for domestic and inbound tourism. Besides the main theme of the Don River Festival is cinema, so we can attract the citizens’ attention to our extensive film program on August 24-28”, said Elena Kosach, project coordinator of “BRIDGE of ARTS on the Don River Festival” and BRIDGE of ARTS sports office manager.